Send A Message To Marie-Jose. Others: Aboriginal Issues, Anxiety, Attachment Disorders, Depression, Existential issues and Life transitions, Selective Mutism, Work related issues. Born and educated in France, I am an adult/child/youth and family therapist and a clinical consultant in private practice. I am a Registered Clinical Counsellor (RCC), a Registered Art Therapist (ATR and BCATR), a Registered Play Therapist Supervisor (RPT-S), and a certified Child Psychotherapist and Play Therapist with diplomas in family therapy and EMDR and close to 40 years of experience. 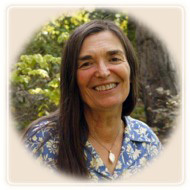 I founded The Centre For Expressive Therapy in 1990 to provide counselling and psychotherapy for children, youth and adults as well as training for health care professionals in a setting that reflects and supports my approach to healing , Holistic Expressive Therapy, and the methods I have developed as a result. Healing Retreats and services for therapists including therapy for therapists are offered. Holistic Expressive Therapy is an integrative approach that takes into consideration the physical, emotional, cognitive and spiritual needs of the client. I developed this approach to help individuals of all ages to cope with their challenges and to also learn and grow from them. In a warm, nurturing atmosphere that speaks to all the senses, I creatively integrate: verbal counselling, imagery and visualization, art therapy, play therapy, sand play therapy, story telling, writing, music, movement, photography, sewing, fibre arts and family of origin work. Expressive Therapy has proven to be particularly helpful to children and adults experiencing the consequences of a variety of stresses and traumatic experiences and is highly effective in promoting healing. Although verbal counseling is the usual primary mode of therapy used with adults, expressive therapies can help them further explore difficult issues that words sometimes cannot reach. Within the safety of the therapeutic relationship, images are created through drawing, painting, collage, sewing, photography, writing, working in clay or sand play. These images are then reflected upon for the purpose of finding solutions to underlying issues. Body-centered guided imagery is also used when appropriate. The Centre for Expressive Therapy is an accredited facility offering unique learning opportunities that may earn professionals credit toward their educational goals (registration as a play therapist with APT, certification as a child and play therapist with CACPT). Training options include: Intensive Seminars , Individualized Seminars , Personal/Professional Development Retreats , Consultation and Supervision , Self-Care for Therapists as well as Workshops in other locations . I have been teaching for over 25 years at the Justice Institute Of British Columbia, (JIBC) in British Columbia, Canada, where a Certificate on Expressive Play Therapy is now offered. I was recently granted the "Instructor of The Year" Award for 2011.